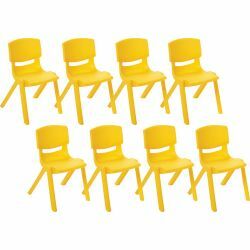 Catalog Home > 14" Resin Chair - Yellow, Case Pack of 8. 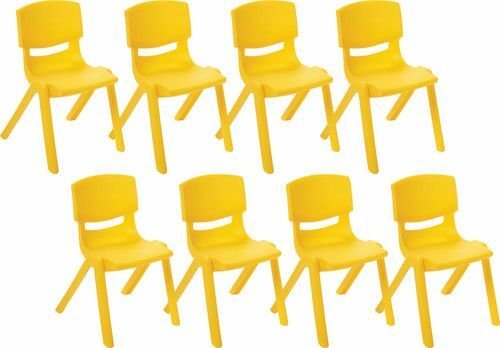 14" Resin Chair - Yellow, Case Pack of 8. Chairs in cheerful primary colors will brighten up your classroom, playroom, or outdoor space! Comfortable and sturdy, Resin Chairs are available in a variety of sizes to accommodate kids of all ages. Complementary colors mix and match to coordinate with Resin Tables.